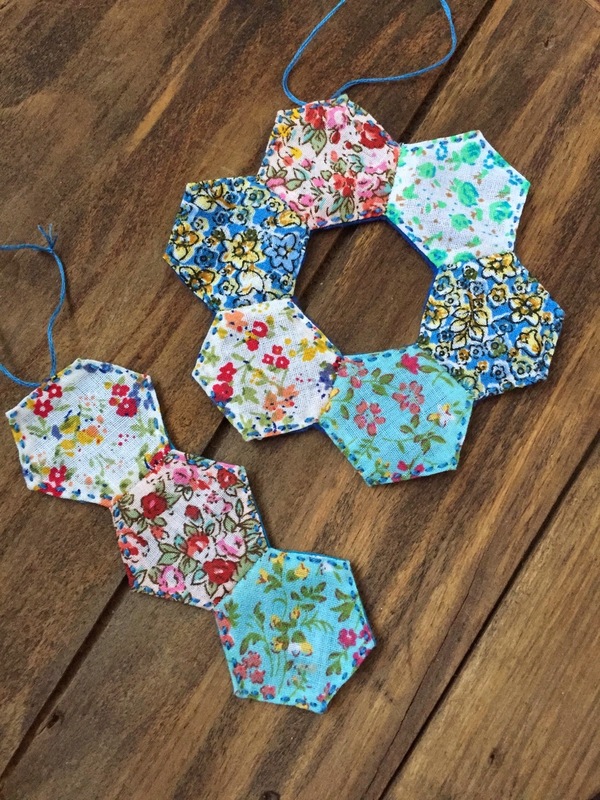 First, you will need to pin your hexagon templates to the back of the fabric and cut around them, leaving about a 1/4 inch trim. You don't need to be super precise here, just make your you have an edge to work with. 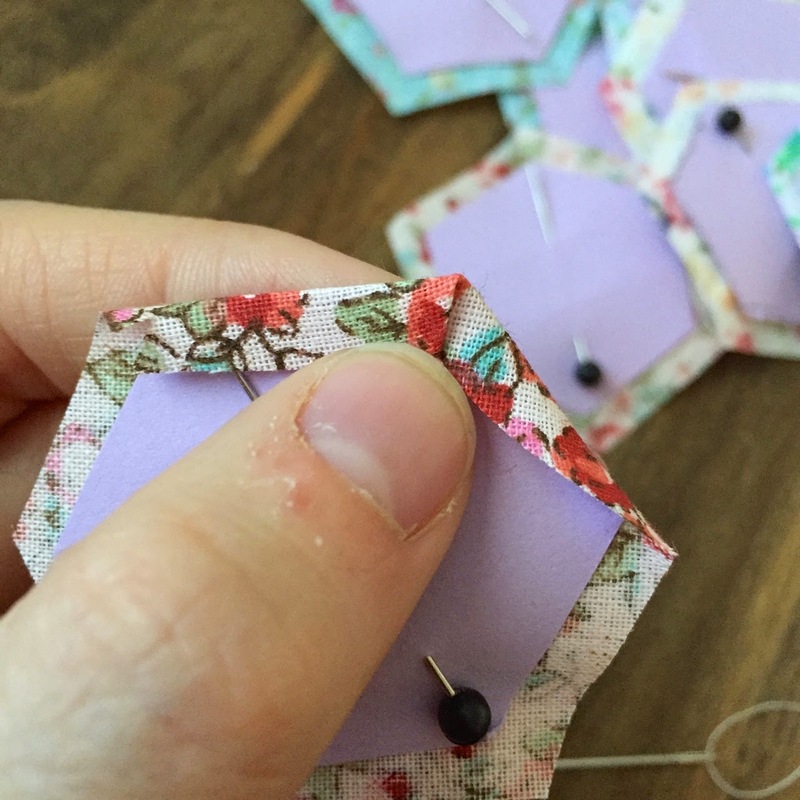 Fold your fabric around the corners so that you have a nice, crisp point. 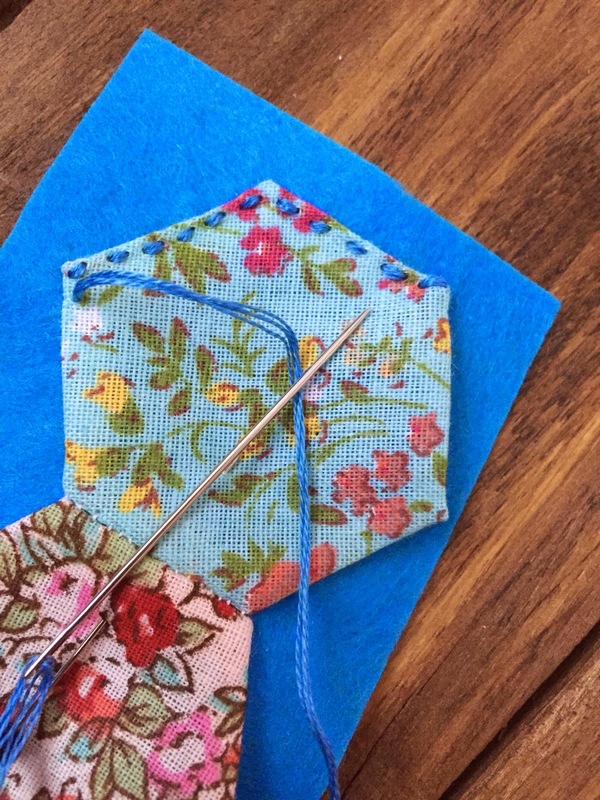 Use two to three small stitches to secure the corner in place. Continue working around until all corners are folded and secure. 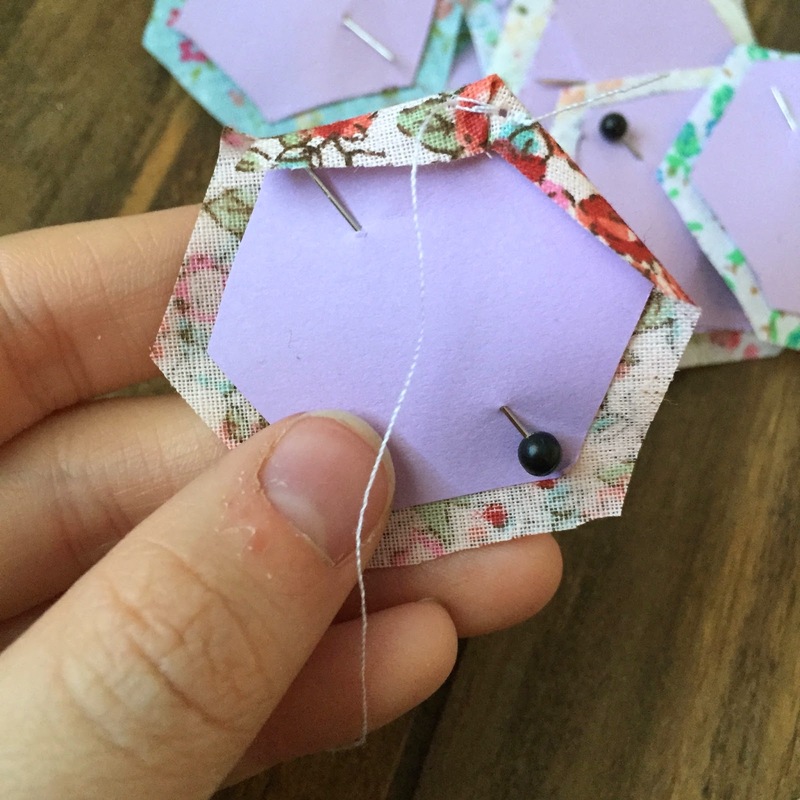 Once all of the corners are secure, you can remove the pin, but keep the paper in place for now. 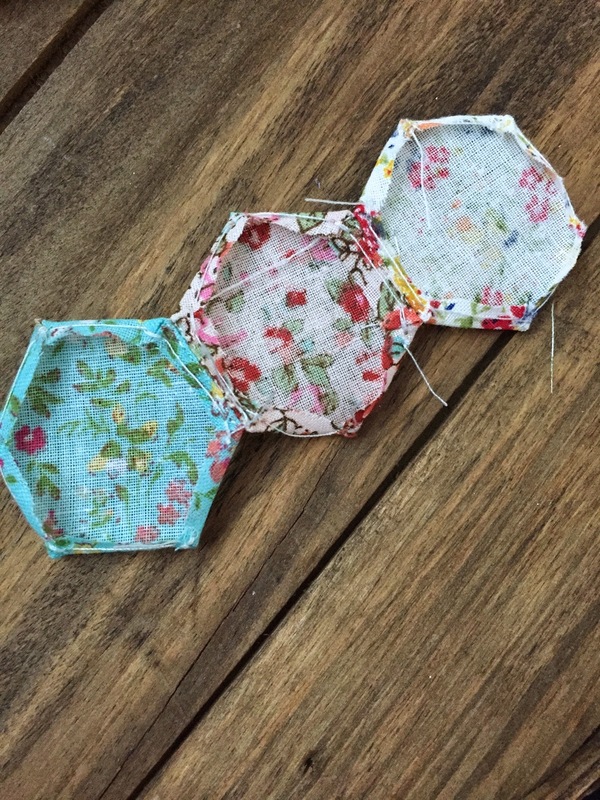 To attach the hexies, hold two together with right sides facing. 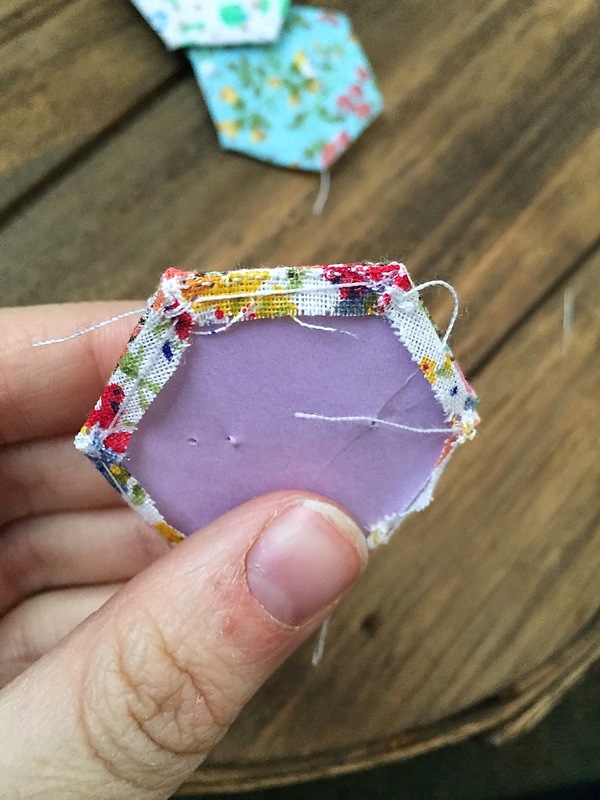 Use a super tiny running stitch along the edge to join the two together. 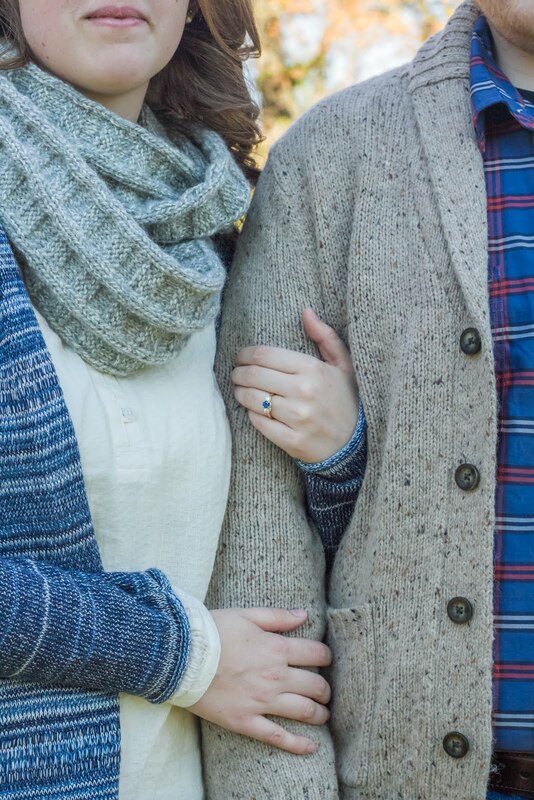 Try not to stitch through the paper (it's not a huge deal if you do, though). 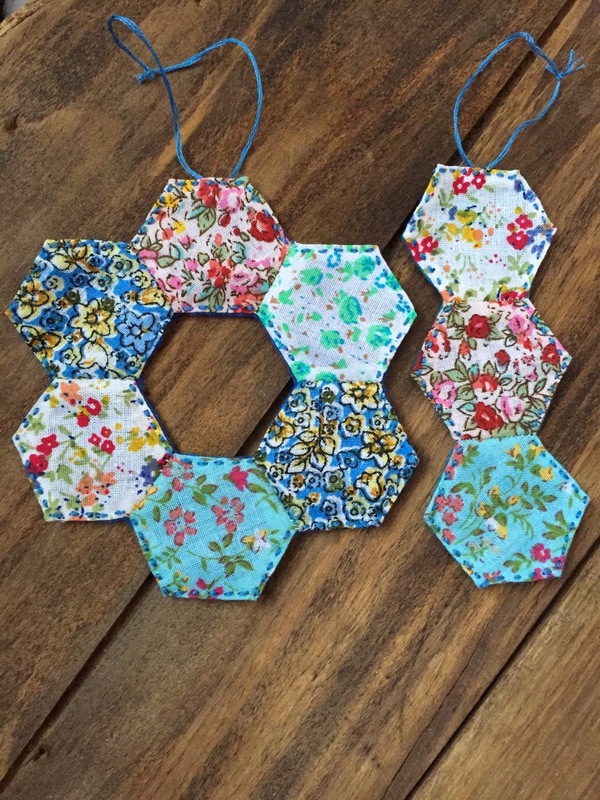 You can attach these in whatever pattern or shape you'd like. I chose to make mine in the shape of a wreath and an icicle, both Christmas tree staples! 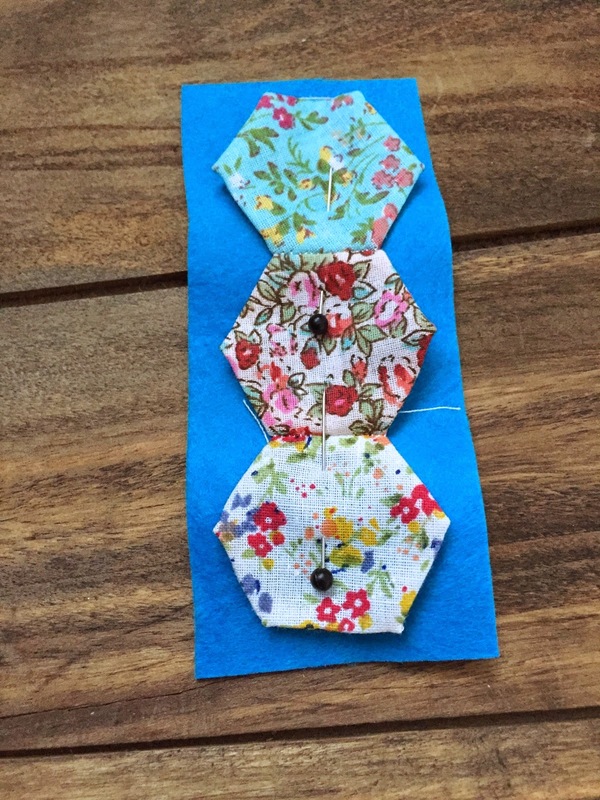 One you've attached all of the hexies into the shape you want, you can CAREFULLY remove the papers. Now all you need to do is attach a little loop at the top of the piece for hanging. I just threaded some embroidery floss through a couple of stitches at the top and tied a knot. That's it. Our tree isn't up yet, but I can't wait to see how these ornaments look on the tree! I hope you enjoy the tutorial! I would love to see pictures if you decide to make some of these for your own tree! 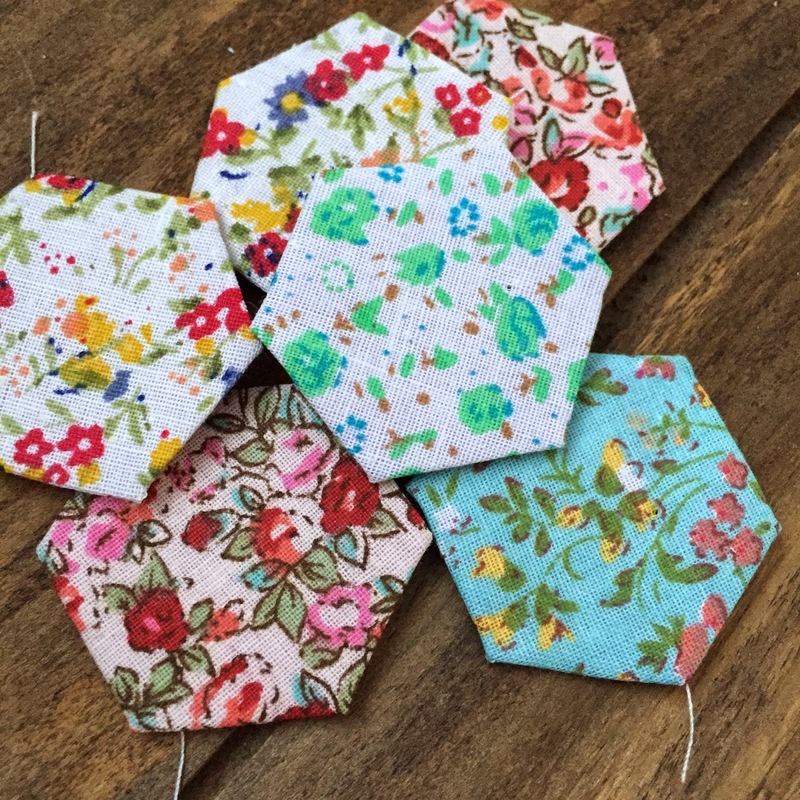 haha, it's 17th Nov 2018 as I am looking for patterns for paper piecing ornaments! It's NEVER too early for Xmas! 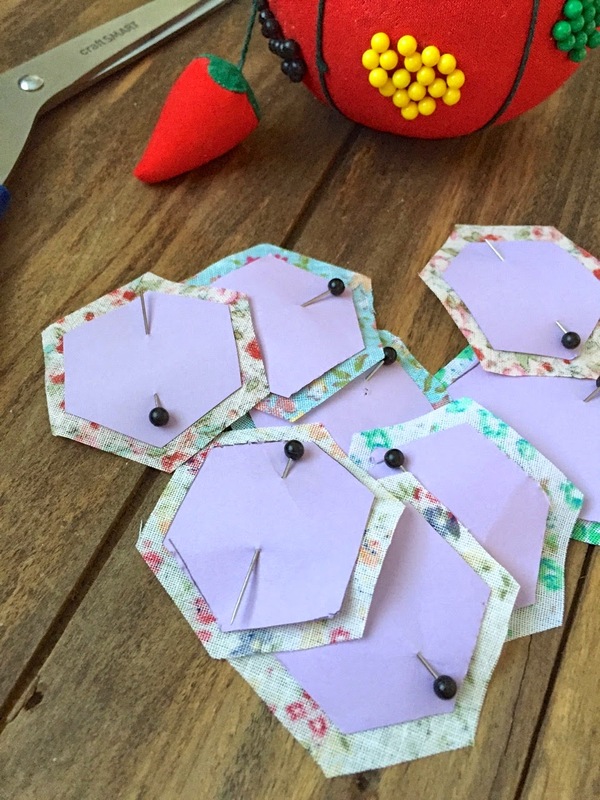 LOVE the idea of using felt at the back!